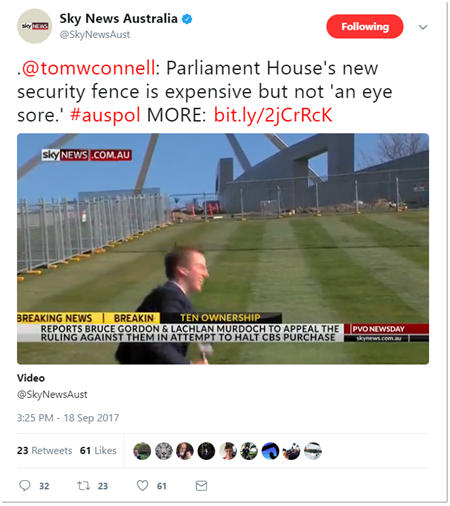 Despite Sky News' apology for its controversial Blair Cottrell interview, ACMA has found it didn't actually breach its code. What does it take to "incite or provoke" racial hatred in Australia? In a rare finding, ACMA has ruled the controversial segment did not meet accuracy requirements and promoted "strong negative generalisations about Indigenous people". Do broadcasters have to air both sides of the marriage equality debate? We have been seeing a great deal of Lyle Shelton on our screens for the duration of the marriage equality debate. That's unlikely to change. In testimony to the inquiry into the sustainability of the film and television industry, the three networks all said the children's content quotas needed to be cut because it's expensive.